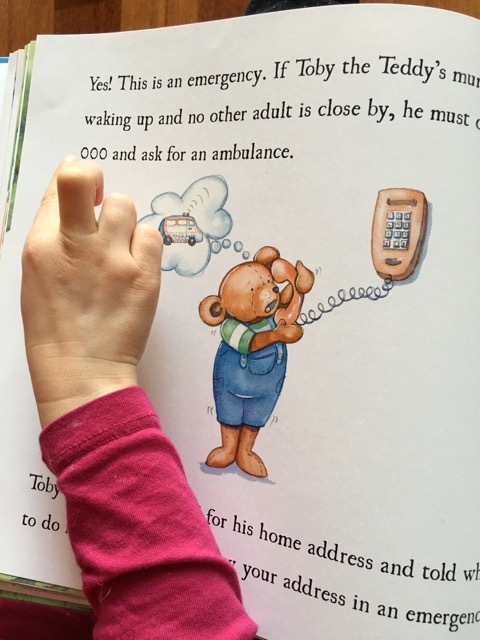 Little Miss and I recently reviewed the book 'Is This An Emergency? 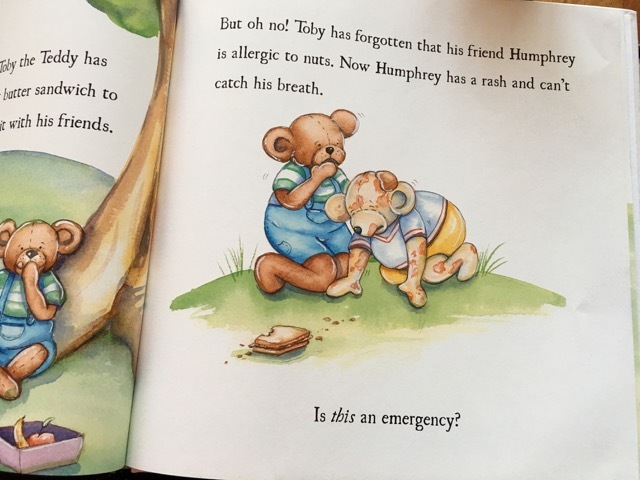 Ambulance' by Catherine Buckley and Amelia Harrison from The Adventures of Toby the Teddy. We are always looking out for educational books which can help children, parents and teachers solve everyday issues - this book is a great example! The Toby the Teddy - Is This An Emergency? Ambulance book came about in November 2015 when Catherine was completing her Master of Primary Teaching and Amelia her Bachelor of Paramedicine. Catherine met a prep student during placement who would dial 000 on any phone he could get his hands on. The student did not understand the consequences of his actions so Catherine in consultation with Amelia decided to write a lesson plan to help students but couldn't find suitable books so they both decided to write their own with the help of illustrator Emma Stuart. 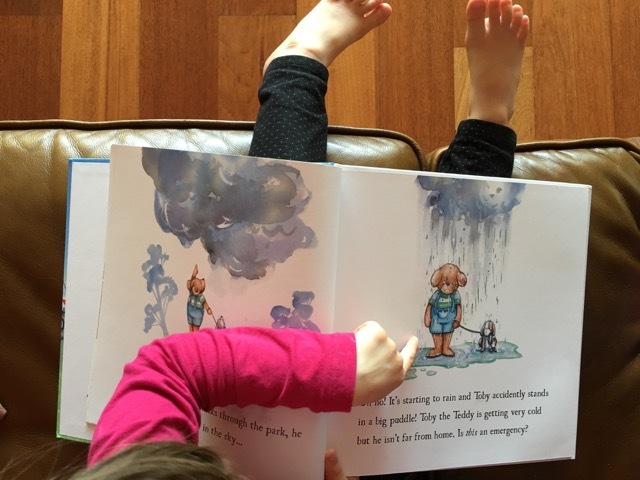 The beautifully illustrated large picture book hardback takes children through a number of scenes where Toby the Teddy is distressed and worried by something that has happened to him, his friends or people in his family. At the end of each scene, children are asked 'Is this an emergency?'. By repetition and problem solving, children will slowly understand and identify what is or isn't an emergency. They will also understand why some scenarios are not an emergency from an explanation. They will also grasp what to do in the event of an emergency, who to call and what to say. 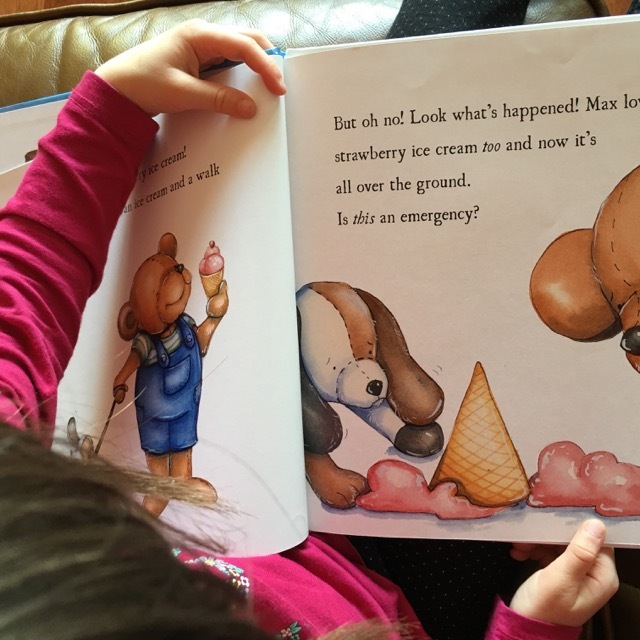 Little Miss was straight away drawn by the beautiful illustrations and understood the concept of thinking about an emergency very quickly after a few scenarios. The book is well written which is easy for kids to understand along with the gorgeous illustrations. It also includes notes for parents, carers and teachers to help them continue the dialogue with children. It also talks about getting an adult to dial 000 in the case of an emergency or for children to dial themselves. I tried to show little Miss how to dial on my iPhone after we read the book, she was keen but I think I will show her again after a few more reads to make sure she fully grasps the concept before showing her again. In the time that little Miss and I reviewed this book, I found out that her teachers borrowed a copy of 'Toby the Teddy - Is This An Emergency?' from the school library and has been reading it to the children which I thought was quite the coincidence as I was looking forward to sharing my review with them! Her teachers have also had discussions with the children about their home address and where they live. They have been learning their address and learning the number(s) on their letterbox/door, their street number name and their suburb as well as their parents' mobile number which are all great for safety reasons and in the case of an emergency call. It can be tricky to make kids at ease with accidents and in some cases emergencies without scaring them and at the same time encourage them to take action if needed. This book successfully does that and will hopefully help reduce the number of hoax/prank calls to 000. Little Miss loves this book, she understood the scenarios after a few reads and we will keep reading it regularly to reinforce this important skill. > To BUY the book, head to this link. > For more book reviews, head here. > For more product reviews, head here.